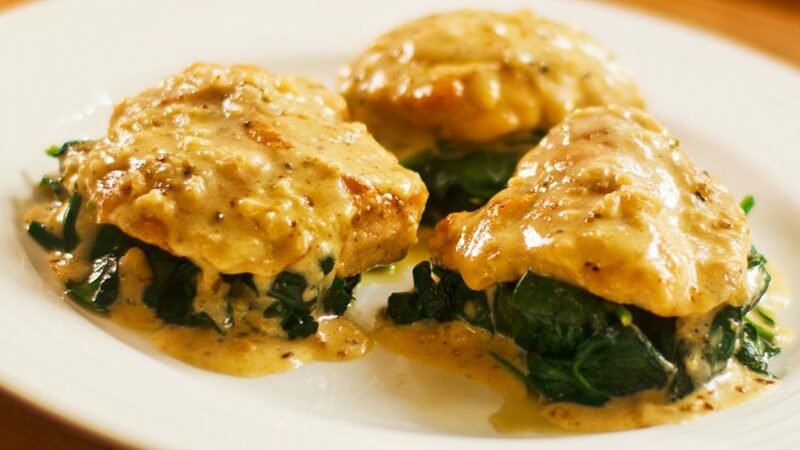 Chicken breast with a reduction of Marsala, shallot, mushroom butter sauce. 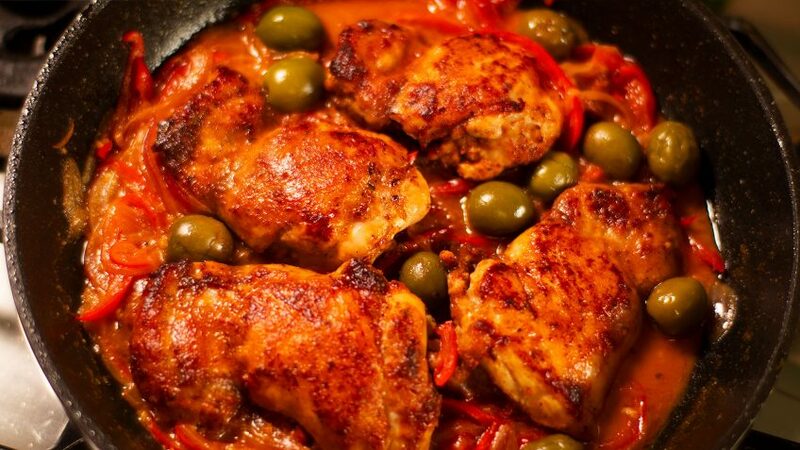 This has to be another one of my favourite chicken recipes. 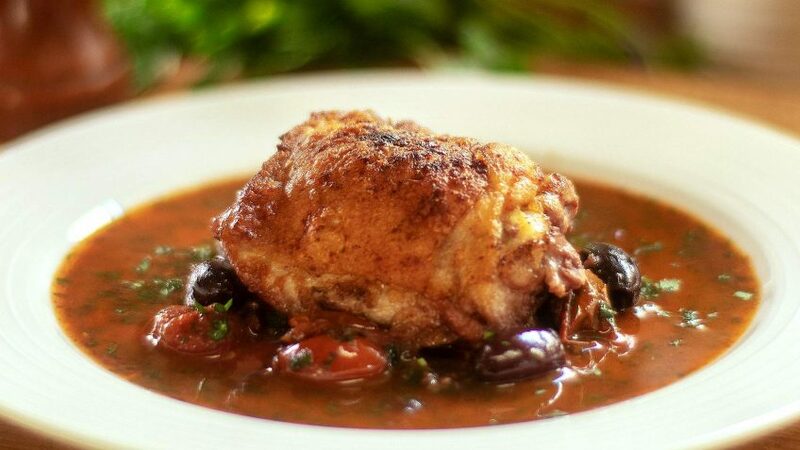 Marsala wine, a fortified wine that originated in Sicily similar to Sherry or Madeira makes this dish dance! 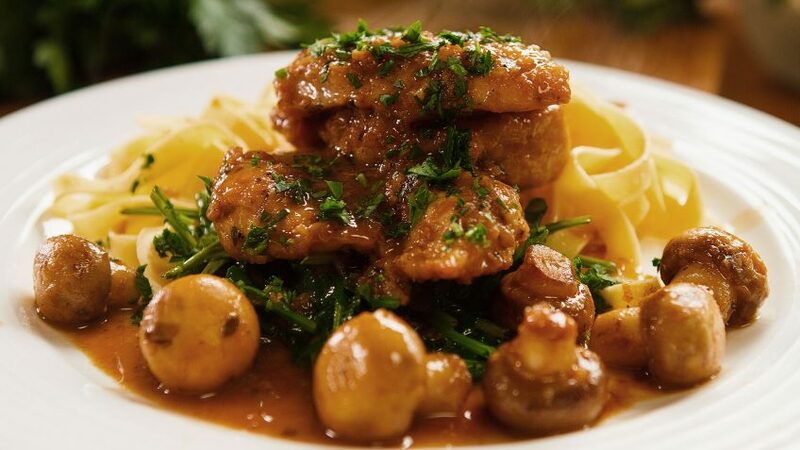 The flour coated chicken breast is sauteed in butter and olive oil with fresh thyme, mushrooms, shallots, garlic, chicken stock and Marsala then juices are reduced into a glaze. Peel garlic and leave cloves aside. 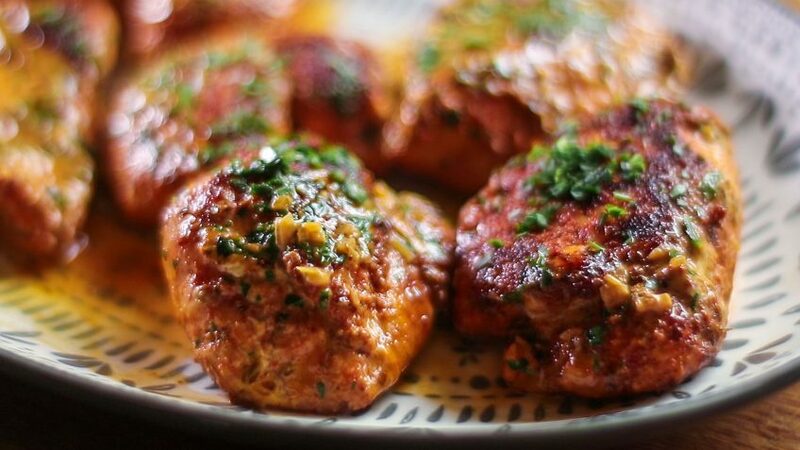 Remove chicken skin, slice into 3 or 4 pieces parallel to chopping board on a slight incline (should result in 3 or 4 nice even thickness chicken medallions). Season both sides of each piece with salt and pepper. Add one third of the butter to a medium heat frying pan with a drizzle of olive oil. 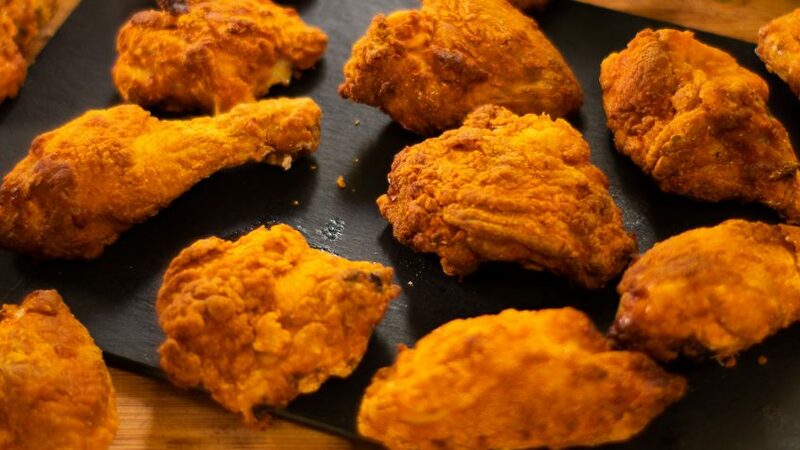 Add the flour to a plate and coat each chicken piece both sides, shake any excess off. Add chicken the hot pan (should be a moderate sizzle sound, do not burn butter). Add the fresh or dried thyme and continue cooking chicken until it becomes a nice golden brown colour. Flip chicken pieces and cook for 2 or 3 minutes, again until golden brown. Once golden brown, transfer to hot plate and leave aside. Remove any fresh thyme stalks from frying pan. Add another third of the butter to the same hot frying pan. Add the mushrooms and cook for 2 minutes (if looking dry, add more butter, you want the mushrooms to have a little bit of colour). Grate the garlic straight into the frying pan and keep tossing the mushrooms. Add the Marsala (if confident you can flambe, otherwise do it away from the flame for safety). Season with salt and cracked pepper. Continue reducing sauce for 2 minutes on high heat. Add the remainder of butter to sauce and mix well. Add the chopped parsley, mix well. Transfer chicken to serving plate and continue reducing sauce until a little thicker (not too thick). Don't buy very sweet or cheap local Marsala, buy the Italian one, the colour should be rich and dark. For those who can't use alcohol, try 2 cups white grape juice, 4 tbs sherry vinegar, half tsp brown sugar with half tsp vanilla extract.